The earlier our kids learn how to save money, the better. Why? Because most likely, they’ll be more responsible with their finances when they grow up compared to those who didn’t experience saving money at all when they were younger. The challenge is, how do we teach our children to handle or save money? At an early age, we can teach our children to save coins in a piggy bank. It is also important that we explain to them in simple terms, the value of money and the importance of saving it. We may tell them that when he has enough savings, he can use his money to buy his books or toys. This way, he’ll be excited to save even more. Using piggy banks to save money is the most basic way to teach our children on how to save. After a while or when the piggy bank is nearly full, we may transfer it to a bank savings account under your child’s name. What Savings Account is appropriate for children? BDO Junior Savers Account is one of the best savings account for children. 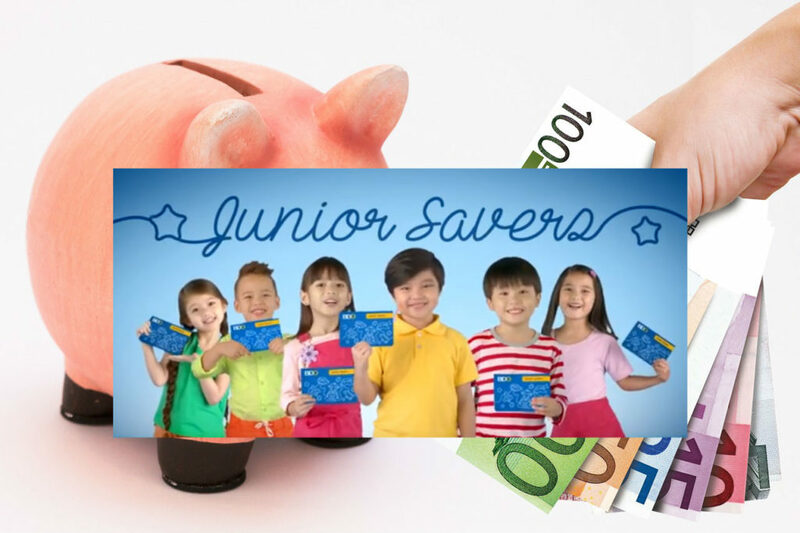 For as low as ₱100 initial deposit, children ages 0 to 12 years old can already open a BDO Junior Savers passbook account. They will also receive a free BDO Junior Savers ID Card which are personalized. Parental Account (By or ITF account) also comes with a BDO Junior Savers ID Card. Children who are 7 to 12 years old may choose to have either a BDO Junior Savers ATM Debit Card or a BDO Junior Savers ID Card. At least 2 IDs of the parent/guardian. Any of the child’s ID/document as indicated in above item numbers A.1.-A.3. Adoption papers – applicable if the account is to be opened by the Adoptive Parent. Guardianship documents – applicable if the account to be opened is by the Legal Guardian. For Kids below 7 years old, parental account is required. For Kids 7-12 years old, you may open a parental account (By or ITF account). Aside from good academic education, whether in traditional school or home school, another important subject that we can teach to our children is financial education. And as parents, we are responsible for this. Our kids learn first at home, so it’s only fitting to teach them about financial literacy as early as possible. Let’s not wait for them to learn about money when they’re already in high school or college. And don’t be scared that they may learn to ask more money from you when they learn about its value. With proper and practical teaching about money, they’ll understand how it works and what it’s for. Again, start with a piggy bank at home, then when they’re ready, you may apply for a BDO Junior Savers account for them at any Banco De Oro Unibank branch. To inquire about opening a BDO Junior Savers account, you may call BDO Hotline 631-8000 or visit the nearest BDO branch personally. You may also visit the BDO website for info. Pwede po ba kahit saang bank branch ng BDO mag apply for junior savers account for my daugther? Sa apalit pampanga po kasi ako nagwowork. wala pong time magpunta sa BDO malolos branch. thank you sa response.